At any time, you can use the oc config view command to view your current, full CLI configuration, as seen in the CLI config file output. Useful commands for managing images. 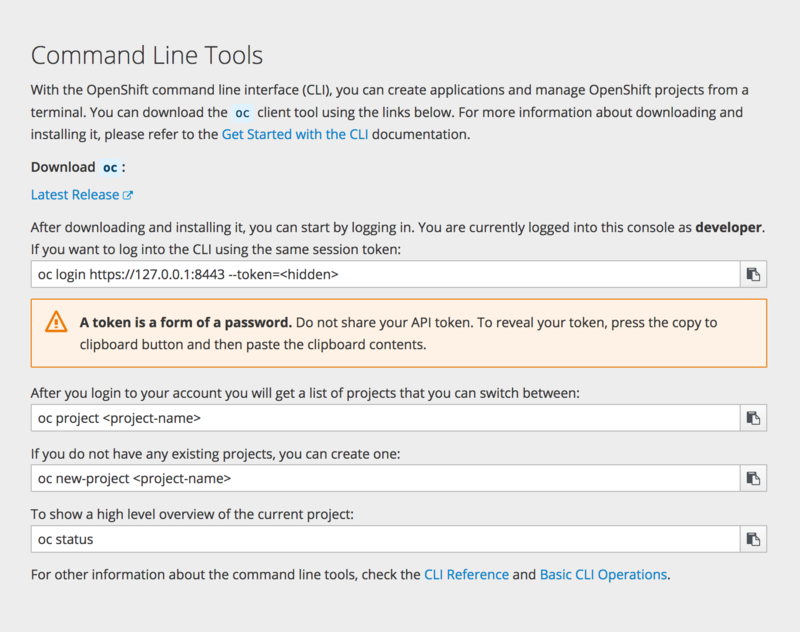 Commands that import applications into OpenShift Container Platform. The debug pod is deleted when the the remote command completes or you interrupt the shell. CLI plug-ins are currently a Technology Preview feature. Technology Preview features are not supported with Red Hat production service level agreements (SLAs), might not be functionally complete, and Red Hat does not recommend to use them for production. These features provide early access to upcoming product features, enabling customers to test functionality and provide feedback during the development process. See the Red Hat Technology Preview features support scope for more information. Currently, OpenShift Container Platform does not provide a package manager for plug-ins. Therefore, it is your responsibility to place the plug-in files in the correct location. It is recommended that each plug-in is located on its own directory.